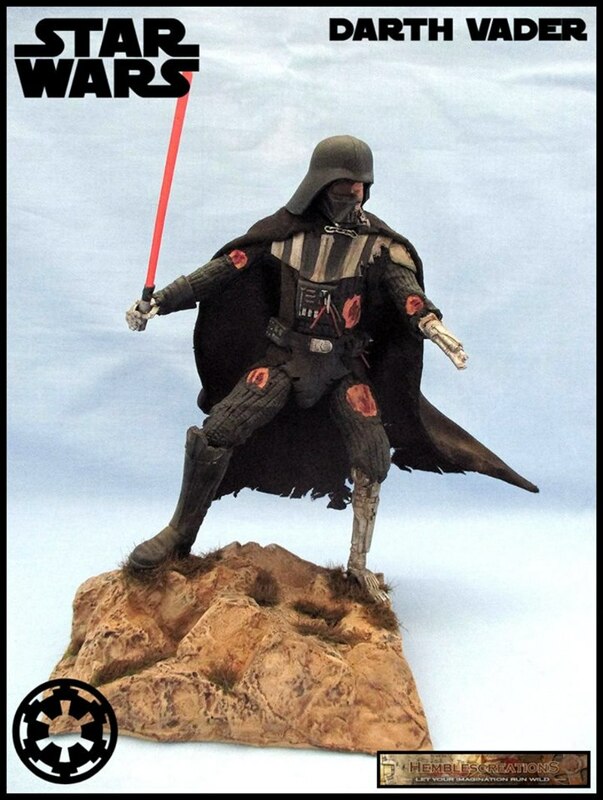 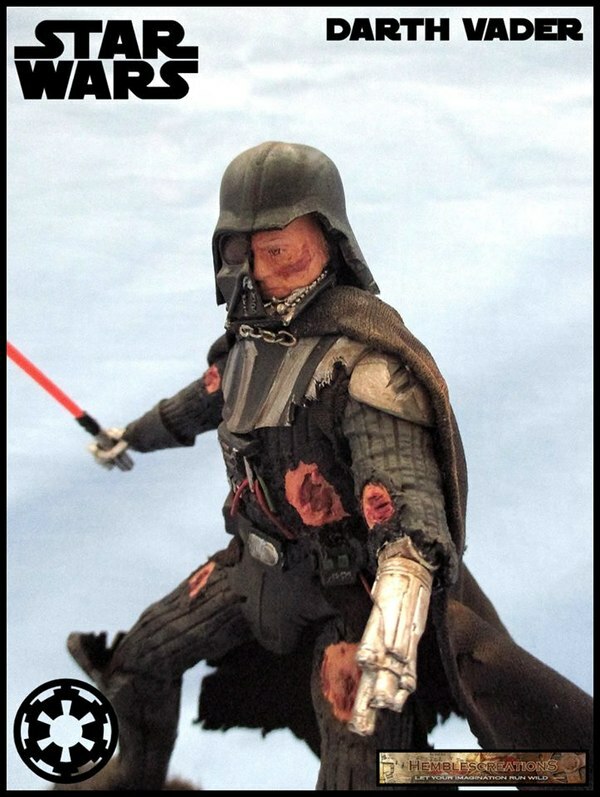 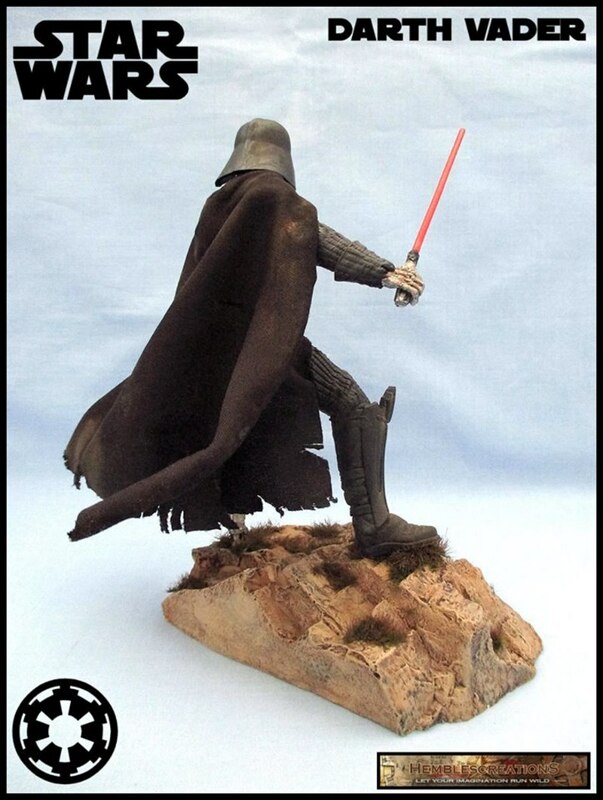 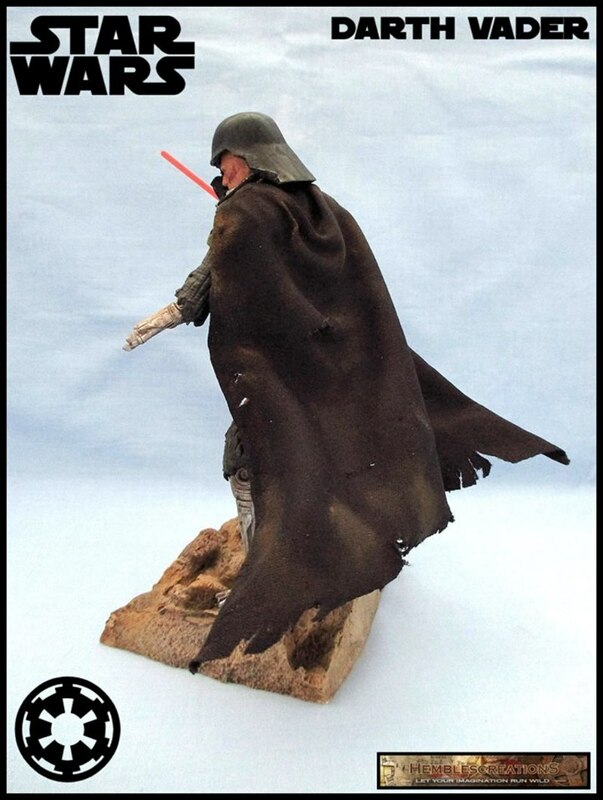 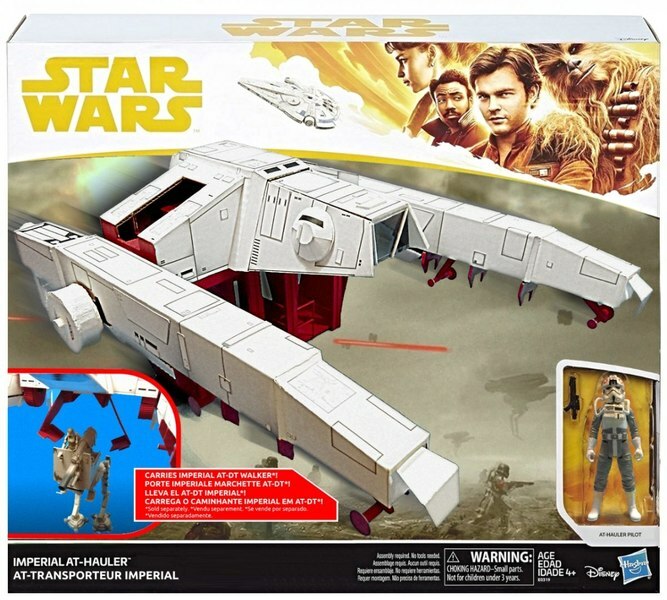 "Vader - is a KO version and is perfect to do a Battle Damaged Vader as they are cheap. 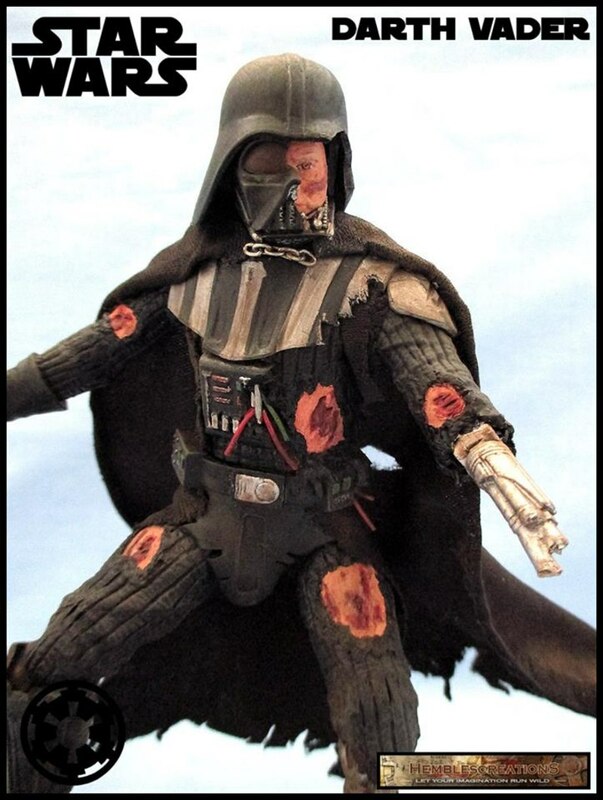 I glued the joints and then used putty to cover them and also used putty to make the damaged skin area's and the ripped suit. 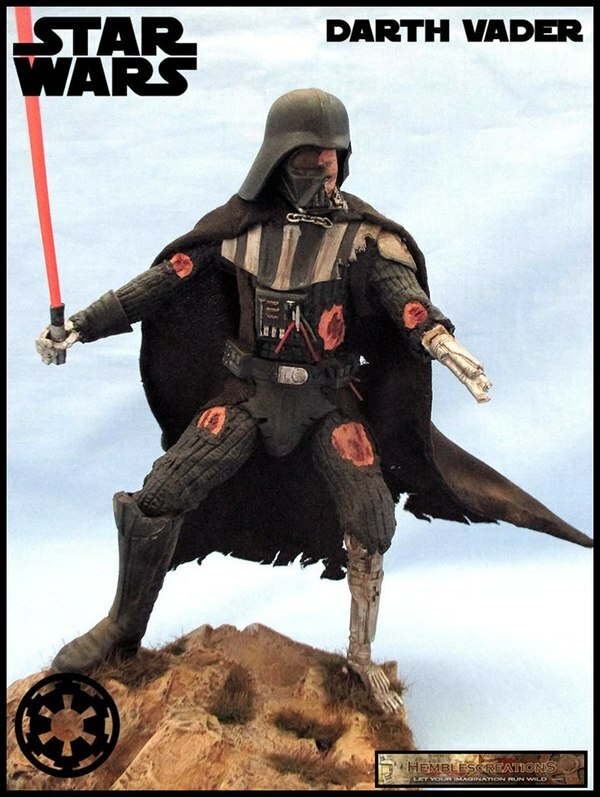 The cyborg parts are from a 7" NECA Terminator figure and I just took the parts I wanted and trimmed the ends so they would fit perfectly with the Vader figure. 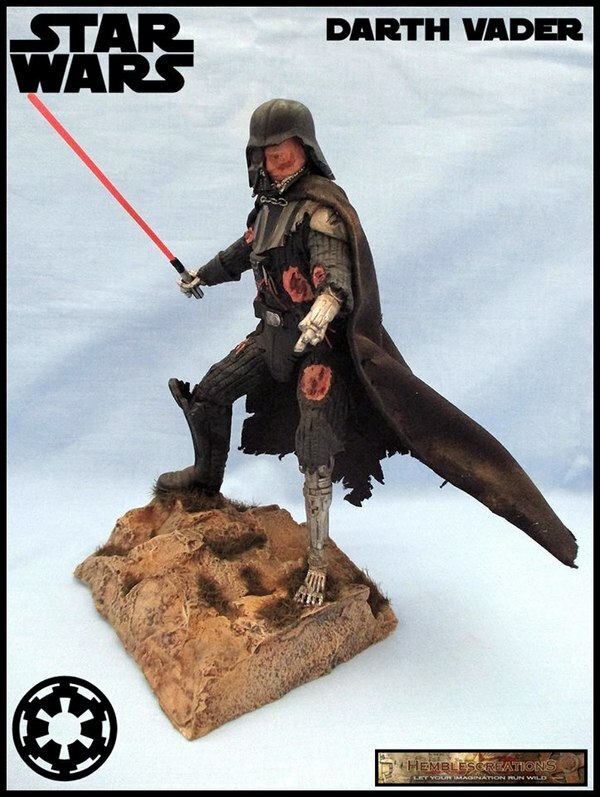 The loose wires are some old LED lights that don't work anymore and I cut off what I needed. 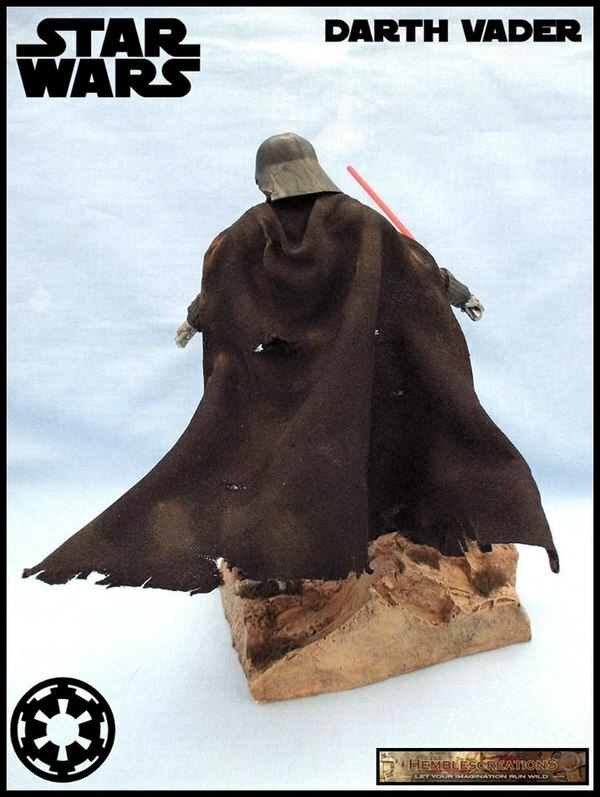 The cape is some black fabric I picked up form the local craft store and I added thin wire to give it a flowing motion. Base - is a mould from a Woodland Scenics rubber mould that you make yourself which I got from a mate and the grass tufts are form the local gaming shop. 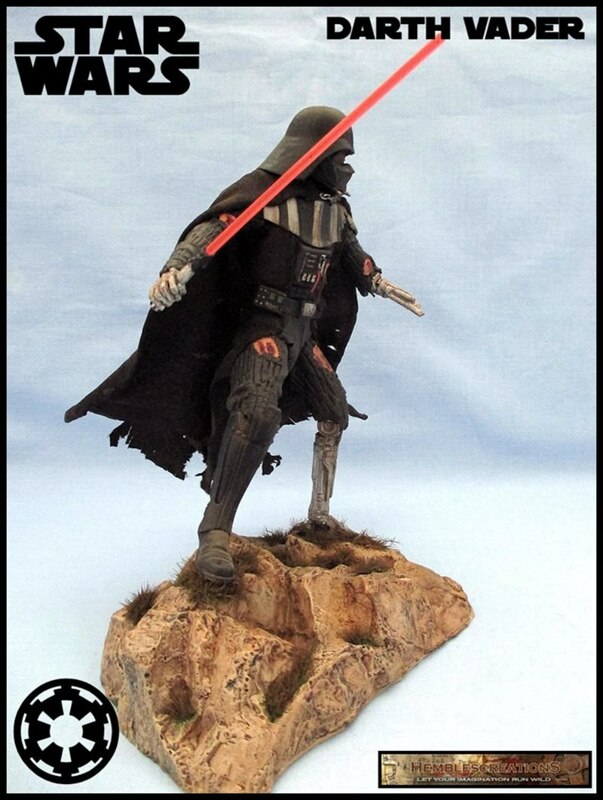 Both the figure and the base were painted and weathered using Vallejo paints and pastel chalks."